Geotypografika » Blog Archive » The drop shadow lives. 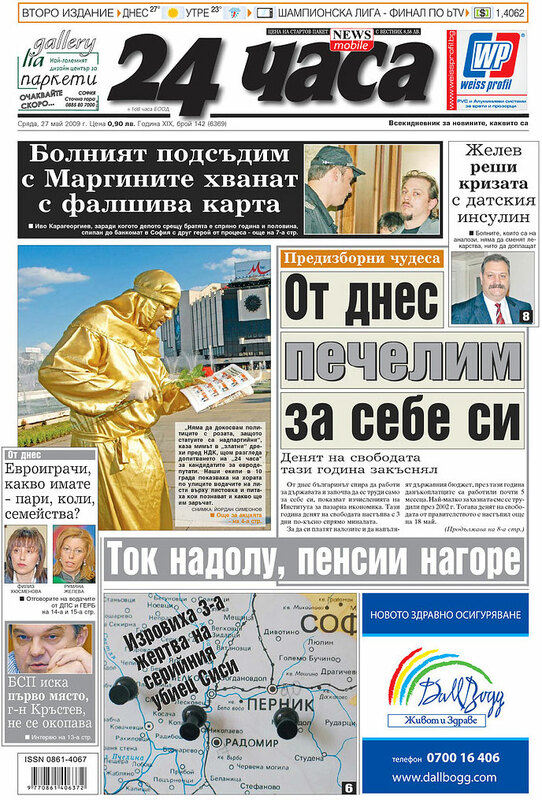 Above: 24 Hours Daily, from Sofia, Bulgaria (via Newseum). A dreaded moment of synthesis, web aesthetics merge with print, or just plain old fashioned horrorshow? Interestingly, the website is much more attractive and ‘subtle’. Oddly compelling, regardless, non? Long live the drop shadow! The drop shadow lives. : Sofia, Bulgaria. This entry was posted by Erik Brandt on Wednesday, May 27th, 2009 at 10:31 AM	and is filed under Aktuell, Education, Geotypografika, Globalization, Graphic Design, International, Internet, News Links, Newspaper Front Pages, Typografika, Typography.